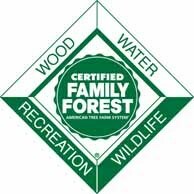 The American Tree Farm System® (ATFS), a program of the American Forest Foundation (AFF), today announced the 14 members of a new Independent Standards Review Panel (ISRP), a body of forest stakeholders that is charged with reviewing AFF's current Standards of Sustainability for Forest Certification (Standards) and recommending revisions to the AFF Board of Trustees based on public review. The American Tree Farm System® already adheres to rigorous set of standards, which are a good match for the size, scale, and characteristics of family forestlands. Last reviewed in 2010, the 2010-2015 Standards are the benchmark for all ATFS forest certifications and its national network of certified inspectors and certificate holders. All certifications are third-party audited. Announcement of the ISRP begins the first of two public review periods. The first 60-day review of the existing Standards will run through March 7, 2014. A second review of any revisions to the Standards will be scheduled for later this year. The process for reviewing the Standards follows protocols accepted around the world. AFF adheres to the requirements established by the Programme for the Endorsement of Forest Certification (PEFC), the world’s largest forest certification program, based in Geneva, Switzerland. “We’ve invited a representative cross-section of forestry community leaders to serve on the Independent Standards Review Panel and we are grateful for their service to sustainability on family-owned woodlands,” Crow said. The panel will hold its first in-person meeting in Washington, D.C. in March to begin reviewing the current Standards and public comments. Interested members of the public are invited to participate in the 60-day public review of the Standards by submitting comments online. The ISRP will continue to review public comments and work collaboratively with stakeholders through 2014 for presentation of revised Standards to the AFF Board of Trustees in November. Upon adoption, the ATFS community and certificate holders will have a year to transition to any revisions to the Standards. Those interested in learning more about the ISRP process and its work should visit http://www.treefarmsystem.org/standardsreview.